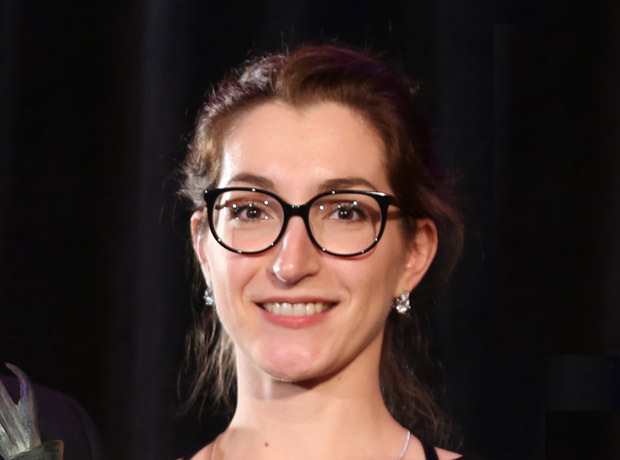 Tatiana Doldonova, winner of the Experienced CRA category in last year's PharmaTimes Clinical Researcher of the Year - The Americas competition, reflects on her role in clinical research and what it means to win a Pharma. Tell us about your background and current role? I’ve been serving the clinical research industry with PPD for 10 years. After I graduated from the Chemical-Pharmaceutical Academy in Saint-Petersburg, Russia, I joined the world of clinical research with the Russian company Innopharm, which was acquired by PPD a few months later. There was a period of my life when I seriously considered moving to Italy, so I studied the specifics of the Italian clinical research industry, as well as EU in general. However, destiny (and a strong pull from PPD) brought me to the hustle and bustle of New York City three years ago, where I continued monitoring and learning the specifics of clinical research in the US. Why the interest in clinical research? I wish I had some type of intriguing or exciting answer to this question, but I don’t. Instead, my interest in clinical research came to me in a more rational and conscious way. I knew from a young age that I would go into the medical field. Part of that is due to the fact that I have a spiritual vision as to how our passions come to us, outside our own control. I’m very thankful to be working in the industry now. It’s exciting how rapidly clinical research is evolving and that I can contribute to the field of medicine in this way. That’s another reason why I like clinical research. There are no typical days. Each day is different from the day before and the day after. Of course, there is some routine, but a constantly changing environment keeps this job fresh. How did it feel to win the Experienced CRA category in the PharmaTimes Clinical Researcher of the Year – The Americas competition last year? I am astonished and flattered to be recognized in a line of work where I have such passion. It’s been such a humbling experience. To the other contestants, I'd like to congratulate all of you for making it to the finals. You should be proud of your achievement. And I would like to thank all the official personnel involved in the awards process for creating such a friendly and positive atmosphere. It was such a fun experience! What did you gain from taking part? My family was very proud of me, which is the greatest reward I could have earned. The feedback from the judges was invaluable. They even helped me with one of my ideas about the redistribution of remaining FDA-approved IP outside of trials, instead of destruction. The competition gave that rare opportunity to meet face to face with my colleagues and make new meaningful connections. Has your win had any impact on your career? I definitely would say, yes, although the impact was indirect. Later in the year I successfully interviewed for and earned a manager’s position. Presenting at the PharmaTimes competition was a great learning experience that I was able to apply to the job interview process. Would you encourage others to take part in the competition, and if so why? I think it’s worth investing the time to participate, but I also think there are different motivations for doing so. For some, it’s connecting with your, while for others it can be the competition itself or the opportunity or the recognition of a job well done. Whatever the reason, it’s a memory that will last a lifetime. Usually, I sleep pretty well! But seriously, my brain lights up and my creativity comes alive during my evening runs in Central Park. I think everyone of us has our own ideas for how to make the clinical research world better. Personally, my ideas are mostly about how to make the process quicker, cheaper and more effective. Another area I keep thinking about is that innovative medicines are not available to patients worldwide, but because of what I do I can play a role changing that situation. Maybe I won’t succeed here, but at least, I will show up for my part of the deal. My peers and I are now in a stage where we have already gained enough experience, but still have enough energy to make valuable changes for the industry. Designed to recognise and reward the talent and passion of industry and academic researchers, the PharmaTimes Clinical Researcher of the Year – The Americas competition is a valuable learning and development opportunity for clinical researchers in pharma, clinical research organisations (CROs) and investigator sites who currently work in North, South and Central America. Want to know more? Click here for information on the competition or here for details on how to enter.